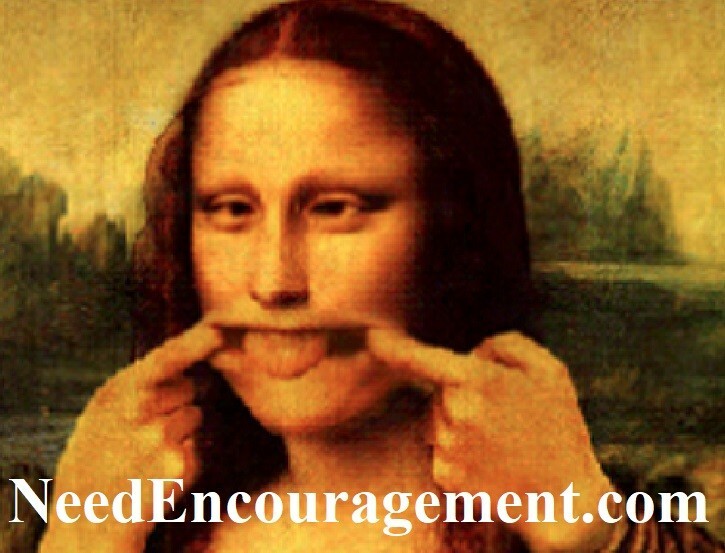 You will find that a little silliness can be very beneficial to you in your life, give it a try! Here are some encouraging scriptures about the benefits of silliness and joyfulness. Enjoy Silliness On The Crazy Side With Jim Carrey! Would You Like To See Some Funny Dancing? Enjoy Silliness, But What If It Gets Inappropriate? Silliness is the glue that keeps us together! Does Laughter Lighten Your Load? A little laughter can bring much joy to your life. Try it and share it with others! You must be discerning about whether or not humor is appropriate. You must always have control over yourself and also your words because the tongue is the quickest weapon and sometimes lashes out without thinking. James 3:8 says that the tongue is “a restless evil, full of deadly poison,” so we must keep it tamed! When in doubt, you need to ask the Holy Spirit for wisdom before saying or doing things that are un-Godly. The Bible says that the Holy Spirit will guide us and help us know God’s truth John 16:13. Yes, all good things come from God, that includes the ability to appreciate humor and share jokes with our friends. Of course, it’s certainly not a sin to laugh! But we also need to be aware of our words, others’ feelings, and different situations where humor may or may not be appropriate. A good rule of thumb is that when in doubt, it is best to refrain. Strange Silliness With Dead Pan Comedian Steven Wright! Laughter Makes The World Go Around! ”You don’t stop laughing because you grow old. You grow old because you stop laughing.” Michael Pritchard. Is joking a sin? What does the Bible say about telling jokes? Enjoy Silliness With The Three Stooges~ Curly’s Best! Proverbs 15:13 A happy heart makes a face cheerful, but heartache crushes the spirit. Why do we press harder on the remote control when we know the batteries are dead? At the ballpark, why are they called” stands” when they are made for sitting? Ever wonder why “slow down” and “slow up” mean the same thing? How can a “wise man” and a “wise guy” be opposites? How can “fat chance” and “slim chance” mean the same thing? A dentist and a manicurist were married. They fought tooth and nail. Enjoy Some Silliness With Robin Williams! Is God’s View Of Silliness The Same As Yours? If your humor is lighthearted, doesn’t hurt you or anyone else (disrespects anyone), and does not go against God’s commands for our lives (in any serious way), and then that is what I would have to consider appropriate humor. There is so much on T. V. and movies that God does not think is funny. Colossians 3:8. I realize that humor that is at the expense of someone else’s feelings, or that only tears them down instead of building them up, is also something that God says we should not do Colossians 4:6; Ephesians 4:29? Silliness Is Good, But Is Sarcasm Okay? Sharp wit and lighthearted sarcasm and a can be fun ways to use the creativity that God gave us. Humor can be an excellent way to make someone laugh and feel better, in this dangerous world we live in (when appropriate of course). God can use you to help bring joy to others with the heart and humor that He has given you. Although cutting remarks at the expense of someone else is not using humor how God would have intended. Proverbs 26:18-19. Riddles That Might Possibly Stump You! Q: You walk into a room with a match, a kerosene lamp, a candle, and a fireplace. Which do you light first? Q: If a blue house is made out of blue bricks, a yellow house is built out of yellow bricks, and a pink house is made out of pink bricks, what is a greenhouse constructed of? Q: Which weighs more, a pound of feathers or a pound of bricks? A: Neither, they both weigh one pound! Q: If an electric train is traveling south, which way is the smoke going? Laughter is a great natural stress reliever, we all have times we don’t feel like laughing, we have to face pain and hurt, and we can’t find anything to smile about really. But during those times, it’s important we take time to relax. Try to do something fun and silly or even watch something that is fun for a few minutes, it can help a lot and can change the course of our thinking too. A lot of the sickness in our world is only because we don’t have the joy that we should. When we live up-tight, and on edge, it causes headaches, digestive problems, lack of energy. We don’t sleep well. Much of this would go away if we would like to learn how to deal with the stress properly. One of the greatest stress relievers God has given us is laughter. Laughter is like taking medicine. It not only makes you feel better but it releases healing throughout your system. When we laugh, it restores and rejuvenates what the pressures of life have taken out. Some Of The Benefits Of Silliness! Notice, when we’re good-natured and full of joy, taking time to laugh, taking time to play, it’s like taking a good medicine. That’s what helps us to stay healthy. Medical science tells us that people that laugh, it boosts their immune system. Silliness tends to reduces blood pressure. People that laugh regularly are 40% less likely to have a heart attack than people that don’t to laugh periodically. Laughter triggers the right side of the brain, which helps release creativity, helps us to make better decisions. Laughter activates the body’s natural tranquilizers that not only help us to calm down, but it helps us to sleep better. There was a lady; she hadn’t slept well in years and years, was continually taking tranquilizers, had taken them so long it hardly even affected her anymore, had tried everything, different diets, different doctors, different medicines. Nothing seemed to work. But this one doctor gave her a very unusual prescription. He said, “Every night before you go to bed, you need to watch something funny — a funny movie, a funny video, a funny drama, something that makes you laugh.” She started doing that night after night. Then month after month she got better and better. Today she is totally off her medications. She can sleep like a baby. God has the answer; He wants us to have peace and joy. We can take some healthy steps to change the course too.